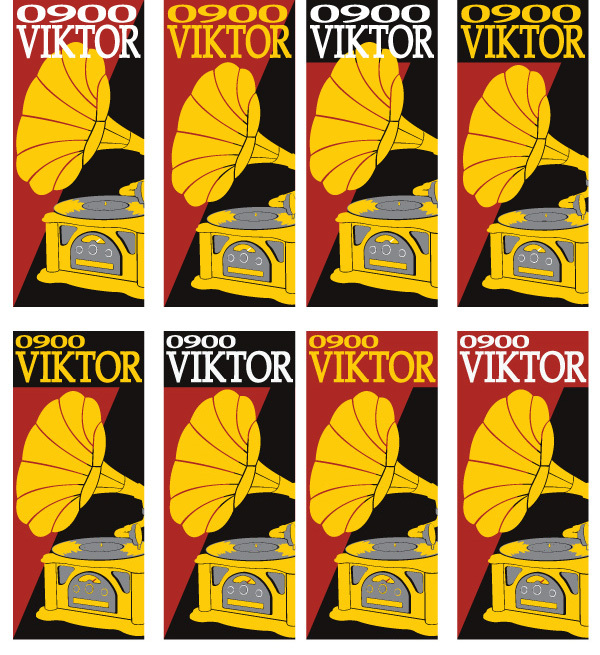 0900-viktor is a great band based in Den Hague. All song they play are in Dutch, and in my opinion well found and very cool. The band was looking for a strong brand which reflected their music and character. 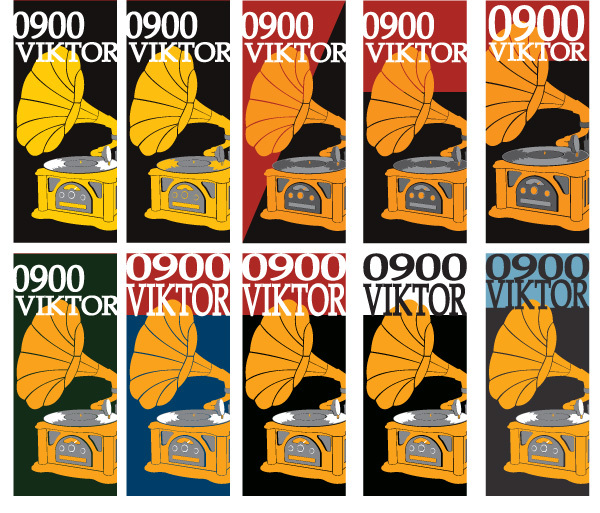 The most important element we started with was an image of an old musicplayer. This idea evolved to the nice logo shown below. At first the design had a much more classical appearance. Despite the gradients, the record player is completely build out of vector lines.